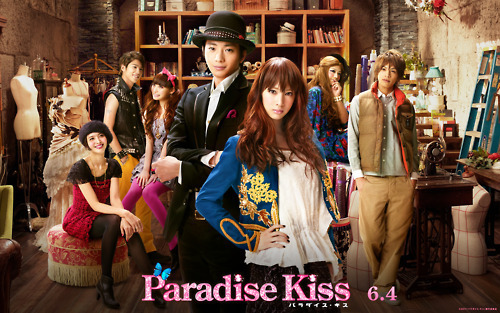 comes across a group of student fashion designers in need of a model for their “Paradise Kiss” clothing label. to admire their free thinking ways and ability to pursue their dreams with a one track mind. in Buzzer Beat) and she really did great job here. Did you like Osamus hats ? Feel free to share your opinions about this movie 8----)! I didn't even know there was a movie. I have the manga series and I remember really enjoying it. I guess I should watch the film then. Yeah ~ There's a manga serie about this as well :)! But of course there shouldn't never be anything that can beat the original version :)!